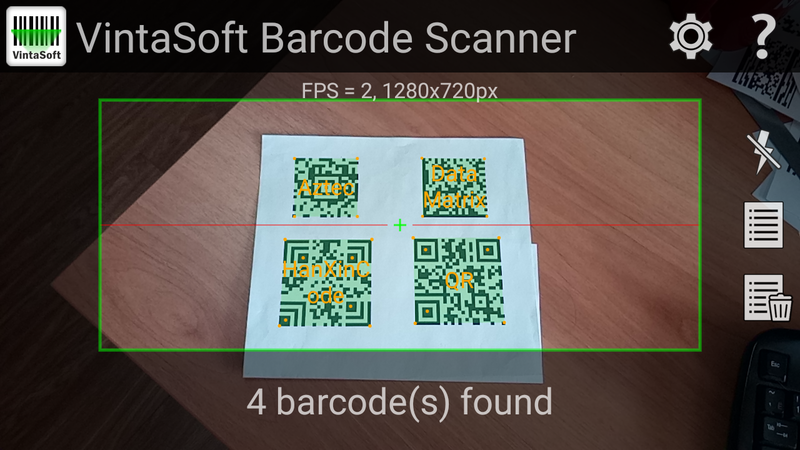 VintaSoft is proud to announce the release of VintaSoft Barcode Scanner application for Android. 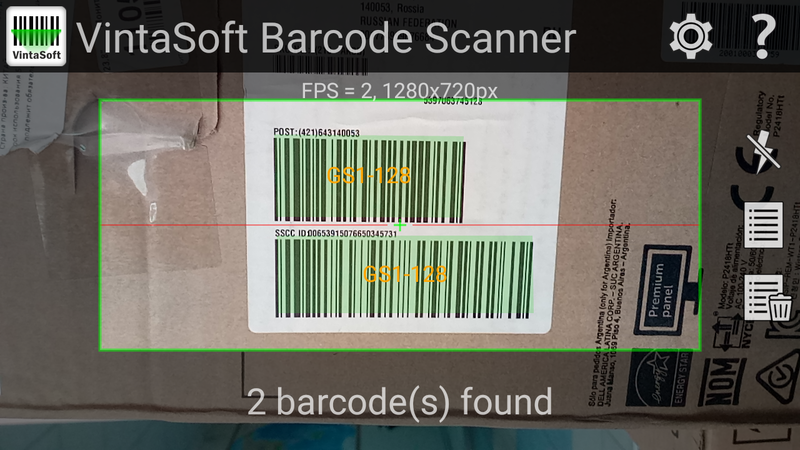 Vintasoft Barcode Scanner application allows to recognize 80+ types of 1D linear, postal and 2D barcodes. The application is free for non-commercial use, does not have ads and needs only camera permission. 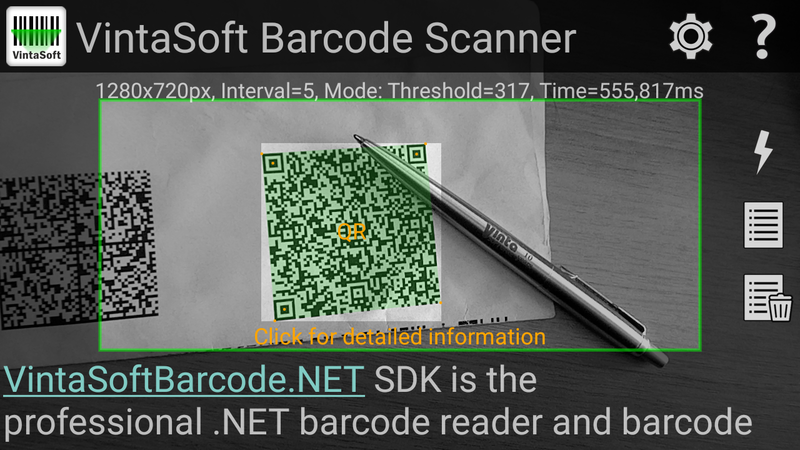 The application recognizes barcodes using API of VintaSoft Barcode .NET SDK and allows to check out the accuracy and speed of VintaSoft Barcode .NET SDK.